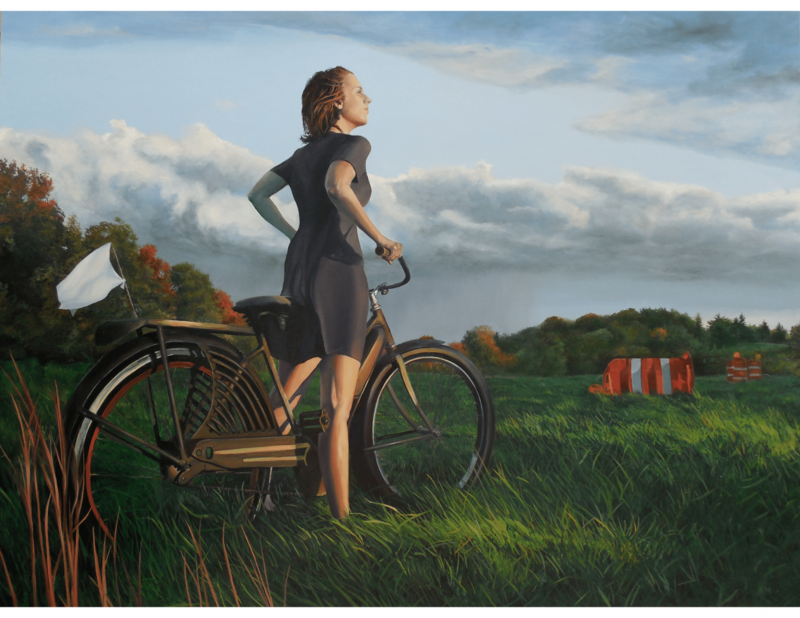 “Surrender” depicts a woman on an old-style bike in a field blocked off by construction cones. The woman longs to ride into the landscape, but the white flag waving on the back of the bike signals that she will cede to the artificial barriers. While the general theme centers on forbidden access, the inspiration is personal for Kevin Muente, an NKU painting professor who is showing two realistic pieces in the annual NKU Faculty and Staff Art Exhibit. Muente and his wife used to walk their dog in one of the largest parts of Northern Kentucky that is still in its natural state, but the land was recently purchased by a developer. Now, the relaxing strolls are no longer legal. “In a sense her on her bike is kind of symbolic of me surrendering. ‘Like oh man, I can’t go to this place anymore’” Muente said. 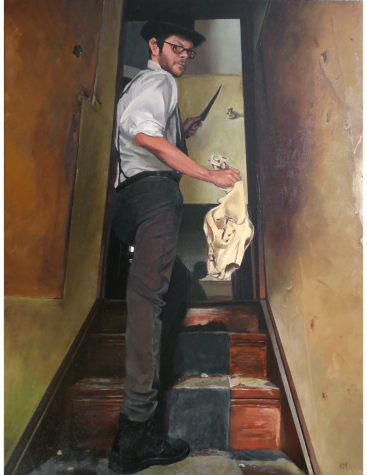 Muente’s other painting, “The Taxidermist” eerily illustrates his real-life friend walking upstairs with a taxidermy knife in one hand and a tiger skull and vertebrae in the other. Some say the taxidermist’s intense expression resembles the likes of Dwight Schrute. The faculty exhibit will run through Feb. 2 and feature a wide range of mediums, from sculptural elements to photography, graphic design, ceramics, painting, drawing, and even a YouTube channel that Professor Marc Leone built as a resource for NKU students and other emerging artists with internet access. Gallery Director David Knight curated the exhibit. Though he began at NKU in the art history department, his focus is now in gallery work–ever since the university expanded the program and the fine arts building nearly 25 years ago. When not planning NKU’s gallery spaces and following other creative pursuits like woodworking, he’s a car person. This hobby is presented through his body of work, a photographic series of “matchbox vehicles in hyperreal scenarios.” Translation: he makes toy sports cars and trucks look life-size (all with an iPhone!). Photography professor Rachael Banks, and about 70 percent of other faculty and staff members, are participating as well. Banks’ work at the exhibit is “from a combination of projects that examine home, death, and memory.” She often finds inspiration in examining her relationship with family, and feeling like an outsider with those she knows most intimately. “When I’m making work, I reflect on my experiences and try not to create from a viewpoint that isn’t my own” Banks added. 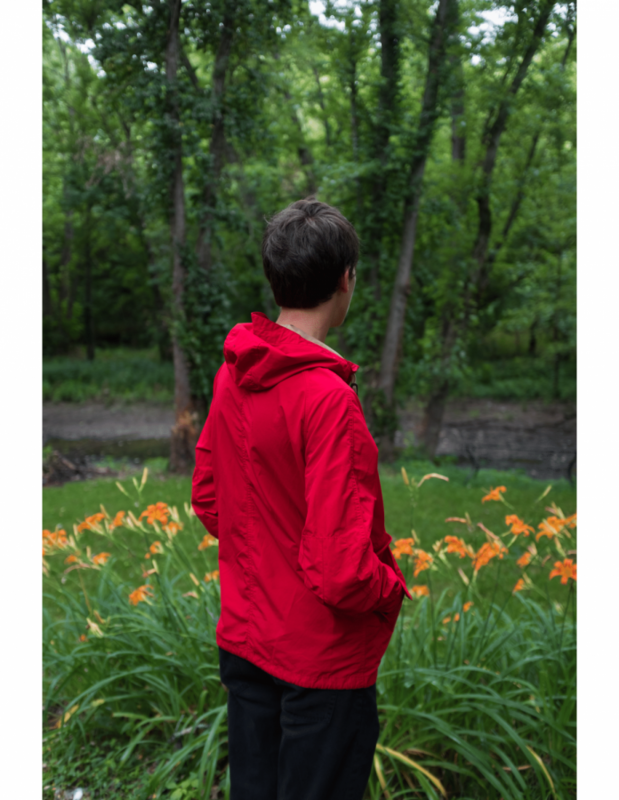 Banks' photography evokes the spirit of youth in the Midwest. (Ed. Note) Banks is a Louisville-born photographer whose work explores Midwestern culture through portraits and self-published “zines”. There’s a raw, punk-rock feel to her imagery, which depict familial intimacy in front-lawn greens and overcast greys. Read our feature on Banks here. Gallery hours run from 9 a.m. -9 p.m. Monday through Friday, but if you crave the story behind the work, stop by the Faculty Exhibition reception Thursday, January 18, from 5-7 p.m.. There will also be “Gallery Talks” every Monday and Wednesday for the next three weeks, where one of the featured artists will discuss their collection from 11:00-11:15 a.m. 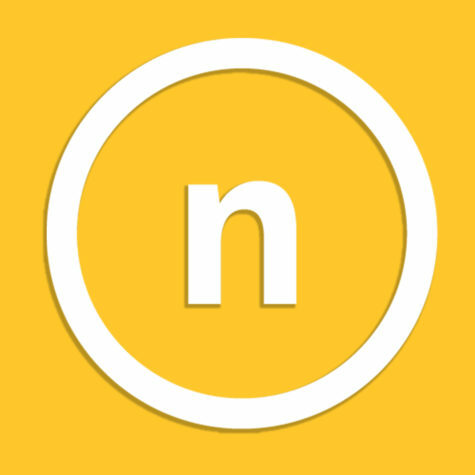 The ‘Gallery Talks’ schedule will be posted on the Northern Kentucky University Art Galleries Page.